Go Beyond the Classroom to connect school curriculum and engage students in learning through the arts! 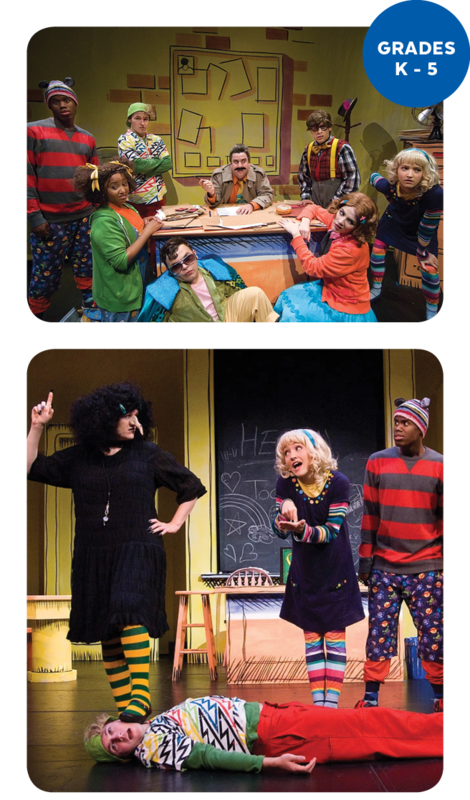 Designed to connect to school curriculum and engage students in learning through the arts, our daytime performance series features productions by outstanding national and local performing arts companies. Enhance your students’ classroom experience as we bring dance, literature, math, music, science, and technology to life on our stages! Thank you to Little Red’s Most Unusual Day Show Sponsor Carrie G. Matteson. When the class gets lost on the way to the planetarium, Ms. Frizzle saves the day by blasting into outer space for an inter-planetary field trip. But when rivalries old and new threaten to tear the students apart, our young heroes must learn to pull together or risk getting forever lost in the solar system. 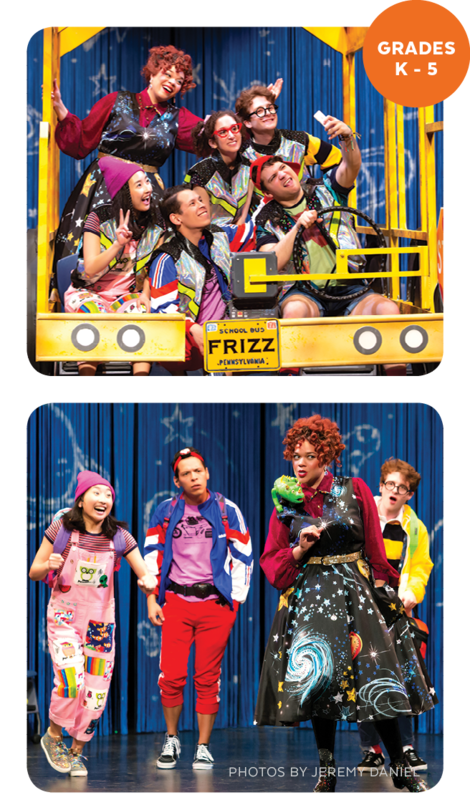 Hop on the Magic School Bus for a ride in Theatreworks USA’s new musical adaptation based on the original book series published by Scholastic. MAKE YOUR GROUP RESERVATION TODAY! To book your group over the phone, please call our Box Office at 262-781-9520. Tickets for groups of 10 or more: $8/person (you will receive three complimentary tickets for every 20 purchased). Single tickets are $11. Please review our policies and procedures before placing your order. Ms. Greer’s classroom has three out-of-the-box thinkers. Rosie Revere has big dreams. Iggy Peck has a relentless passion for architecture. And Ada Twist’s curiosity can drive her teacher crazy. This new musical based on Rosie Revere, Engineer; Iggy Peck, Architect; and Ada Twist, Scientist by Andrea Beaty spotlights STEM curriculum. The 10am performance is SOLD OUT! Students will experience the magic of opera through this engaging version of the classic Brothers Grimm folktale of a young girl and a Big Bad Wolf. Arranged by John Davies to the music of Offenbach and Rossini, Milwaukee’s Florentine Opera Company creates an unforgettable experience that brings the richness of opera to children in a meaningful and understandable way. *There also will be a family performance on Saturday, January 25, at 10am. Single tickets will go on sale on July 12. **Our Dawes Studio Theater is an intimate venue, allowing for smaller groups of students to experience an interactive “front seat” to the performance. Students will be seated in rows on the floor, assembly style. A limited number of chairs are available for educators and chaperones. If you have any questions about seating for this performance, please call our Education Department at 262-373-5037. After escaping slavery in Georgia, life in Gettysburg is everything Lemuel dreamed it would be. His ideas about the North and the South and what it means to be a free man are challenged when he befriends Jacob, a young Confederate soldier. While of different races and on different sides of the Civil War, the young men teach each other about bravery and loyalty in this exciting musical. 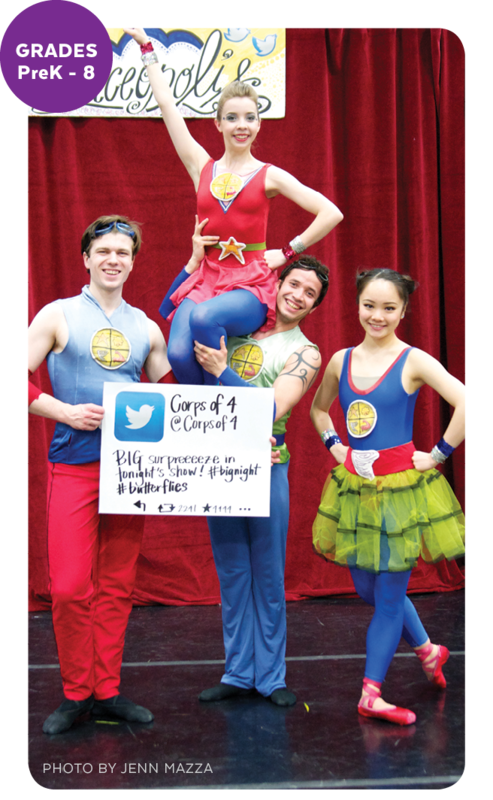 Follow the adventures of Milwaukee Ballet’s superheroes, The Corps of 4 and Ballerina Karina! After attending to important business in Danceopolis, the superheroes are back with Episode 4 of their saga for Milwaukee Ballet’s 50th Anniversary season, ready to celebrate with their leader, King Louis XIV, for a golden gala extravaganza. Return to Horace B. Smedley School where the Smedley Tornadoes have never won a football game—or even scored a single point! But kind-hearted Miss Nelson comes to the rescue with the help of her alter ego, ill-tempered Miss Viola Swamp, to whip the team into shape. This fun-filled musical shows how attitude and teamwork can win the biggest game of the year!